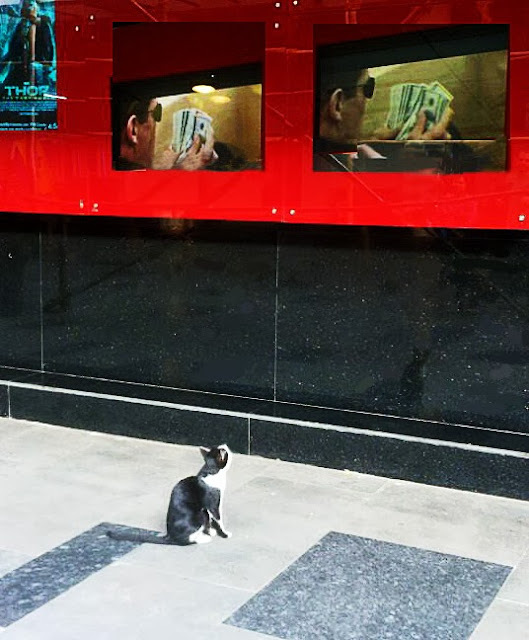 Caught a cat sneaking a peek at the outdoor tv screens outside PVT, Parel, in Mumbai. This cat was not in a hurry, but sitting there for several minutes watching the moving images. Who would have thought that cats like to see dollar notes!